Get A FREE Exederm Skin Care Sample Product! You look in the mirror and you sigh. Your eczema or dermatitis is flaring up again and you’re embarrassed. We understand. While supplies last, you can get a FREE sample of Exederm Eczema and Dermatitis cream! This incredible cream helps soothe and relieve skin conditions such as eczema and dermatitis. 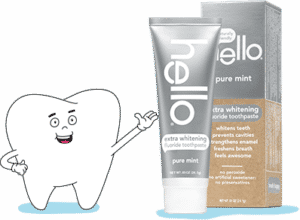 With this product, you will no longer dread looking in the mirror because you’re going to like what you see! To get your FREE Exederm skin care product sample, simply fill out a sample request form. Due to high demand, it may take a few months for your freebie sample to arrive int he mail. If you have young children, there is no doubt that you go through band aids quickly and frequently. 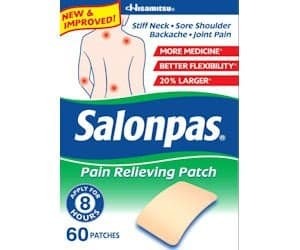 You really can never have too many band aids in your home! Right now, you can take advantage of this nice little freebie offer for a sample pack of Nexcare Give band aids. 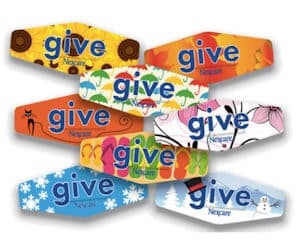 These band aids were inspired by the act of giving. If you pledge to donate blood, you can get your FREE sample pack of Nexcare Give band aids in your mailbox within 8 to 10 weeks. These bandages have unique and fun designs on them that represent the global need for donated blood. Don’t Stress – Calm Down Naturally W/ Sample Of Natural Vitality!! Are you a Type A, high-stress person? Is staying calm and mellow a challenge for you? If so, your high-stress level may be taking a toll on your general health and well-being. Right now, you can snag a FREE sample of Natural Vitality Natural Calm Drink. This natural drink contains ingredients that help your body calm and soothe itself. 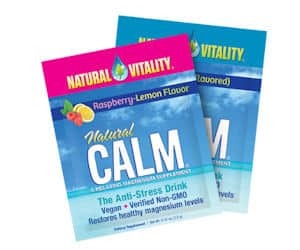 When you request this FREE sample from NV, you will receive a sample of Natural Calm Raspberry Lemon, Natural Calm Plus Calcium, a brochure, and a money-saving coupon. 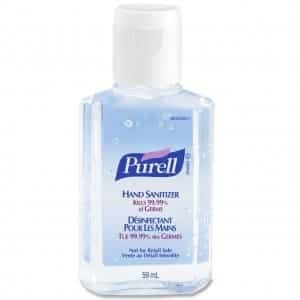 Get your FREE sample of this calming drink while you still can! Expectant Moms! Check Out This Prenatal DHA Vitamin Freebie Offer! Are you an expectant mom, or do you plan on conceiving sometime in the near future? If so, you should check out this freebie offer from Diet Standards vitamins. Right now, you can get a FREE bottle of Diet Standards Prenatal DHA. This vitamin is similar to an Omega-3 fish oil supplement. However, you do not need to be a pregnant woman in order to take these vitamins. The company asks that you leave an Amazon review once you have tried the vitamins. To get your FREE sample, simply fill out a brief vitamin sample request form. Your FREE samples should arrive in the mail within several weeks. Mens Vitamin FREEBIE Offer Available Now! There is a lot of debate about whether or not vitamins are beneficial to the average person. If you believe in the benefits of natural vitamins, you may want to check out this freebie offer. Natures Plus vitamins is currently giving away FREE samples of their Men’s vitamins. These vitamins were specially formulated to meet the men’s health and fitness needs. In order to get your FREE vitamin sample from Natures Plus, simply fill out a sample request form and select the particular vitamin formulation that will be suit your health and fitness needs. After your request has been submitted, you should receive your vitamins in the mail within a few weeks. You Have To Check Out This FREE Sample Of Seni Pads And Briefs! Urinary leaks can be embarrassing and frustrating for those who experience them. 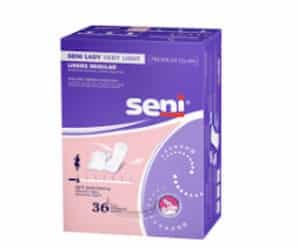 Right now, you can get a FREE sample of Seni pads and briefs that help eliminate the embarrassment of urinary incontinence. This freebie offer is great because you can choose the samples that best suit your particular incontinence needs. 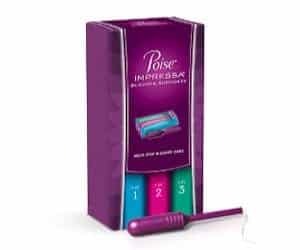 There are a variety of pads and liners to select from. Once you have chosen your desired samples, you will need to enter your contact and mailing information. After you have submitted your request, you should receive your freebies in the mail within 4 to 6 weeks.